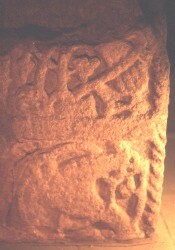 The cross on the right has the remains of two panels on the back. At the base there is an entangled monster. Above this there are the feet and tail of a bird.